When last we checked in on 20th Century Fox’s troubled Gambit, the X-Men spin-off had lost its third director in Pirates of the Caribbean’s Gore Verbinski, who was said to have met the same “scheduling issues” as Doug Liman and Rupert Wyatt before him. 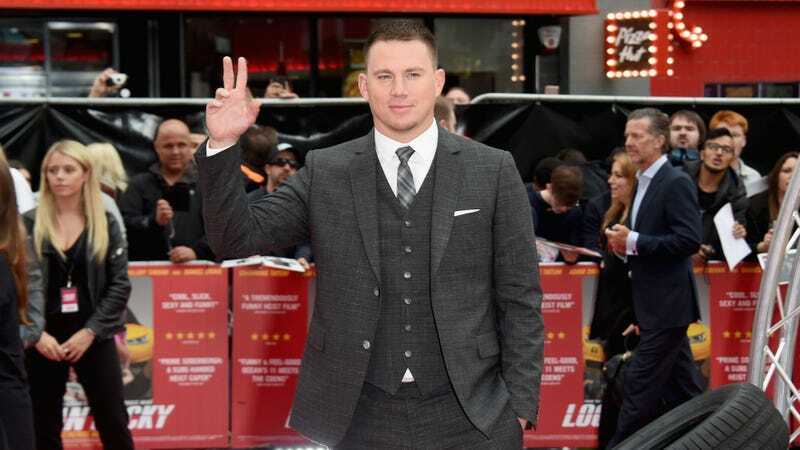 Standing tall amidst so much destruction, however, is star Channing Tatum, who remains fiercely devoted to playing the staff-toting Cajun card flinger. So devoted, it appears, that he may just direct the damn thing himself. You think he cut his hair like that for nothing? This comes via Deadline, who note that the “buzz has been that he might direct the film after several other filmmakers have been in and out.” It also follows reports that Kong: Skull Island’s Jordan Vogt-Roberts met about the project last spring, though Tatum’s recent willingness to step in signals that those chats didn’t progress very far. Gambit would be Tatum’s directorial debut should he take the reigns. We’d be into it, too, if only to see what kind of tricks he picked up from his old pal Steven Soderbergh. However it all shakes out, though, one thing’s for sure: It most assuredly won’t be making its June 7, 2019 release date. We’ll get New Mutants before we get Gambit, and, Jesus Christ, are we ever going to get New Mutants?